Marathons can be one of two things: they can be good or they can be hard. If 2013 was a good one, this year it was the turn of a hard one. I continued to be bothered by my back, shoulder and neck pain so I was overjoyed to find that Barajas airport now has a place that offers massages (as well as delicious smoothies). Luckily enough, my wife had had to drop me off on the early side as she had a conference call to make, so I had just enough time. I indicated on a form where the masseur should focus his attention, as well as specifying that I wanted a deep massage. It was very good, much better than I would have expected in an airport. It left me a little sore the next day, as was to be expected, but it definitely loosened me up as well as making the flight much more bearable. With the flight you know more or less what to expect but, depending on the number of planes that happen to land at JFK at the same time, the wait in customs can be quite heavy. I decided to be as "zen" about everything as possible so, after two hours of waiting in line, I didn't bat an eyelid when the customs official rudely told us to "Get out of my line" because he happened to be knocking off work at that moment. Just one more hour on the train to my final destination. This time my friends Eli & David with whom I was staying spent the weekend in the flat, but they left me to my own devices on Saturday and were very considerate about not making any noise when they came back in the evening, long after I had gone off to sleep. After running down first thing to the Expo to pick up my number (20 minutes at a pace of 3:56 - I was too excited!) I spent the day lazing around. I stocked up on cereal bars and bananas, cooked and ate spaghetti (for 6 people, according to the packet), had a hot bath and lounged in bed. Between the flights and vegging out, I got through about 8 films in total. I watched one about a budding 4-minute miler and another about a bunch of people taking on the 4 Deserts to try to get myself in the right frame of mind. I was asleep by about 7:30 pm. If I have one gripe about the Upper West Side, it's the number of bloody dogs there are everywhere. My sleep was only interrupted by a yappy dog that was locked up in a cage outside one of the flats in the block. And then, on my short run to the Expo a large dog jumped up and snapped at me, something that has never happened before. I would have expected Upper West Side dogs to be better behaved. Even just navigating all the dogs on outstretched leads is a tripping hazard. In spite of the incessant yapping, I slept surprisingly well the night before, waking up at 4 am - 10 hours sleep counting the extra hour from the clocks going back. 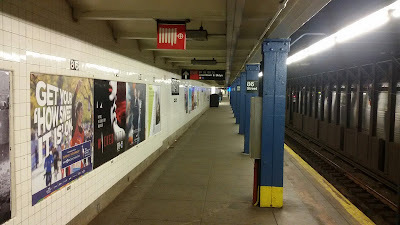 I had a light breakfast, vaselined up, put my kit on and headed out of the door towards the subway. I saw someone else similarly dressed leave their flat and head in the opposite direction. Hmmm, not a good sign. Down in the subway there was no-one around but I knew I had plenty of time and that the journey was pretty straightforward - take the "1" all the way down to the ferry - at least, that is what I thought. Luckily I bumped into Matt at that point, who had bothered to check the status of the trains. Just as last time I spent the next 4-5 hours leading up to the race with the first person I bumped into, so it was to be this time. Matt wasn't from New York but was a Chicagoan and so at least knew the basics of public transportation in the States. Just then we were joined by Dan who was from New York and seemed to know exactly what he was doing. Rather like the pied piper of Hamlyn, the number of people following Dan grew and grew until it was quite a responsibility he was bearing. The journey was made quite a bit more complicated by some poorly timed maintenance works, but we made it to the South Ferry Terminal by 6:15. By this time the queue for the 6:30 ferry I had notionally said I would be boarding when I registered was so large that the doors closed in our faces before we could get on. No worries, we would be in a good position to get the next one. But where are all those people rushing off to? Damn, the next ferry leaves from the other gate. I managed to stem the thoughts of the injustice of missing another ferry before they crystallized into panic, and our little group made it on even getting seats without any problems. While we were swapping Marathon stories, Dan astounded us by saying that he had lost over 100 pounds (45 kilos!!) in the last few years from running - he was so lean that it was hard to imagine what he would have looked like with that much excess baggage. In 2013 I started in the blue wave on the lower levels of the bridge; this time around I had drawn orange as had Matt. I basically followed the routine I did two years ago to the letter with the exception of not being able to do a very convincing "lucky number 2" beforehand. In spite of all the pasta and cereal bars I had been stuffing myself with over the previous days, I didn't feel bloated before this Marathon for some reason. Two years ago we had passed the time looking for the Dunkin' Donuts hats which this year were in plentiful supply; instead Matt tried to find his friend Sasha amongst the other 50,000 runners. We found him, finally, in the last waiting area before being ushered on to the upper deck of the bridge. There I bumped into a friend from Spain - Antonio - who was running his Xth Marathon (where X was a big number I can't remember), together with his son. Spike Lee was the Master of Ceremonies giving way to a slightly grating (sorry) Opera version of the USA National Anthem. I almost forgot to give a thought to the race ahead. I had printed out my splits from 2 years ago on a wristband to give me some idea about the relative ease or difficulty of each mile, as well as an indication of how I was doing compared to my Personal Best time. I found myself fairly naturally nailing each mile split almost to the second but, during the 3rd mile (after the distracting up and down of the Verrazano Bridge), I already knew something was not right. I can't honestly say whether it was a self fulfilling prophecy, but I noticed my heart rate was significantly higher than I would have expected it to be at that pace. I imagined it was due to the unusually warm temperature and - more importantly - the 70% humidity. This was the bane of my very first Marathon in Amsterdam: in spite of it being quite cool, the humidity was as detrimental as it would have been in hot weather - after all, the body gets hot running irrespective of the ambient temperature. I had a choice to make. Do I slow down and wave goodbye to a chance at my PB but save myself a lot of unpleasantness later, or do I just go for it and ignore the Heart Rate Monitor? I decided to go for it. I spotted negative thoughts creeping into my consciousness and instead tried to enjoy the atmosphere and to conserve mental energy for later. But, if truth be told, I was finding it increasingly difficult to enjoy and increasingly difficult not to worry. In general, the sensations were not good and it felt just a little bit too much like hard work. Also, I think as a result, I can't say that I remember as much of the race as last time. I remember finding some of the signs amusing but not what was written on them. I do remember one sign, though - "Have you ever been victimized by the Marathon" - because I saw it at least three times along the course and couldn't figure out whether the bearer was the same person or whether there were several identical copies of the same sign. When I had been geeking around in the weeks leading up to the event, comparing my splits to other runners, I had noticed that my 11th mile seemed to be a bit slower relatively speaking, while my finish was much stronger. With this in mind it dawned on me that the reason was because this was the orthodox Jewish quarter where I suppose it was against their religion to support us. I don't remember the First Testament diverging from the Second Testament as far as Marathons were concerned... It was almost worse to have people ignoring you than running in a vacuum and, coupled with a sustained "annoying hill", it made for one of the slowest miles of the course. I managed to spot my mate Rich in Greenpoint, just before the Pulaski Bridge at the Half Marathon mark, which I reached in 1:23:48, only 23 seconds behind last time. The live tracking was vastly superior to two years ago when the automatic tweets (that I wasted $3 on) failed to materialize. 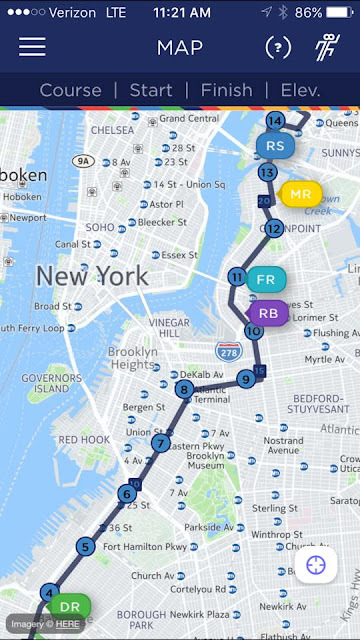 Thanks to the app, Eli & David were able to anticipate fairly accurately the time I would be passing by which was just as well, because they chose to spectate along the very densely packed 1st Avenue. Knowing that I would probably see them around this point, I passed the time scanning the faces of the crowd and tried to look as happy and relaxed as I could. Unfortunately, my legs were feeling very heavy by this point and I was conscious of running ever more slowly. I saw them thanks to Eli's exuberant shout (which she later worried might have put me off my stride). The second half of the race was very tough. As usual, when the Marathon doesn't go to plan, my heart rate actually slows down and my breathing speeds up. As you can see, my gadgets reported that my cadence started to decrease, my contact time increased as did my vertical oscillation and my braking force. Towards the end, my foot strike moved more to the midfoot from the forefoot, but this was due to a conscious effort to avoid my calf muscles knotting up in a ball. I thought of my friend Nat and his stoicism and I practically ran through Central park with my eyes closed. I had got a little irritated with my mum when she had said before the Marathon "Don't be disappointed if you get cramps and are not able to do a good time". "I don't want to think like that," I had retorted. With 1.2 miles to go my legs finally locked up completely, rooting me to the spot. The crowd cheered like crazy for me to keep going, which I did after a few seconds, but I wasn't convinced that it wouldn't happen again and again until the finish line. Thank goodness for small mercies: this was the only time I was forced to stop. It was also probably the most exhilarating moment in the whole race for me. Can you guess which part of my body hurt the most after the race? My left arm - go figure. I think I was pumping my arms so much to make up for my uncooperative legs that I wore them out completely. I couldn't seem to find a position that would ease the sense of fatigue. Bizarrely, my back and neck felt better than they had before the Marathon, so that was one thing I needn't have worried about. Just then I saw Matt. I had wondered how it had been for him and it turned out that he had had a very similar experience to me. He had set off with the same goal time, reached the halfway point more or less at the same time as me and then started to slow down, finally cramping up in almost exactly the same spot as I had, before crossing the line a number of seconds ahead of me. I finished shy of all three of my goals in a time of 3:02:52 in place 970 out of 50,530 and 191 in my age group. I made my way back to the flat, showered (which stung like hell) and then headed off in search of a beer. 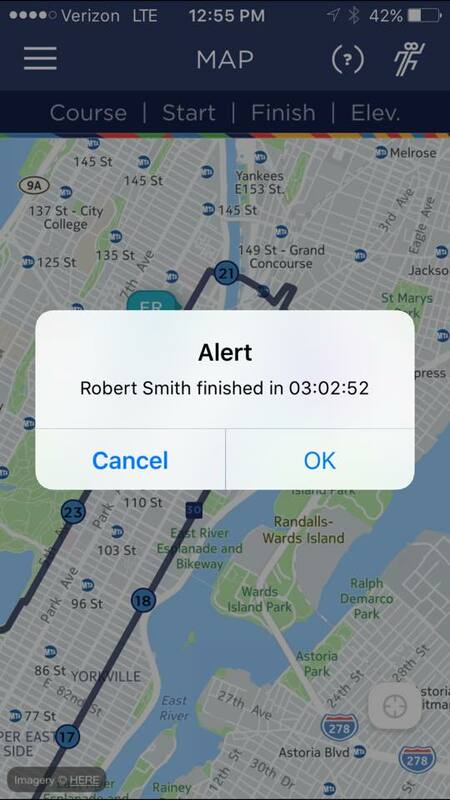 The whole of New York seems to breathe the Marathon, so many people congratulated me and asked me how I had done. I hadn't yet figured out how to tell the story but ended up practicing several versions from "there was a great atmosphere" to "it didn't go as I had planned". It's a bit of delicate situation to be disappointed with a time that for many people would be a dream time. And to non-Marathoners, a 15 minute delay seems like a trivial miscalculation - akin to missing a bus - rather than a disaster. But if you stop to think that behind those 15 minutes of difference between the first half and second half is a world of personal suffering imposed by a mind / body that just resort to various forms of torture to prevent you from going any faster, it is perhaps easier to understand. In hindsight, I think I am more disappointed about not having truly enjoyed it than about the time per se. This was rectified to a great extent by seeing how much Eli & David had enjoyed supporting the Marathon and getting caught up in other people's stories. 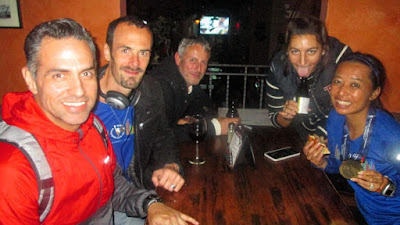 After some sushi, we met up with my Ultra running friend Elaine and her fiancé, Tom, in a bar Downtown. Elaine had been pacing the 4:30 group. While in town, I also took advantage to pop into Best Buy, which starting that very day had an exclusive on the Garmin Vivosmart HR - an activity tracker with continuous heart rate monitoring. I convinced myself that I needed / deserved one of these. 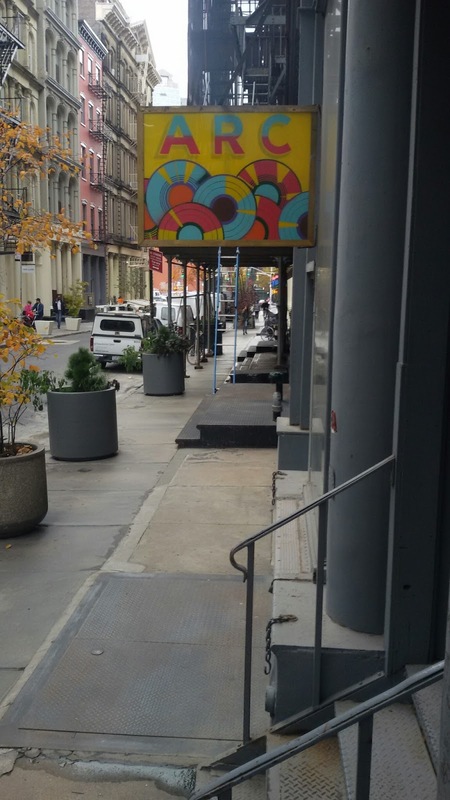 This time around I had allowed myself an extra day to enjoy New York and it was just as well, otherwise I would have felt a tremendous anti-climax. 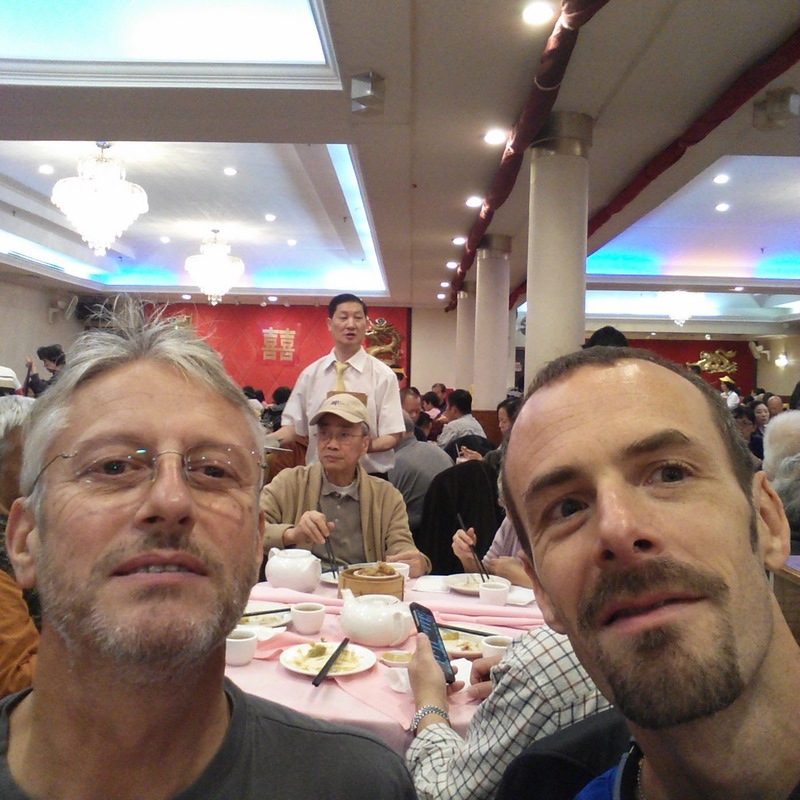 David and I went for a fantastic Dim Sum in Chinatown, in a restaurant that I had been to with my wife the previous year, where we were the only non-Chinese in the place. We had to share a table with a Chinese couple and could only order by pointing our chopsticks and nodding. It was very good quality and I felt stuffed afterwards and it was only $18 for the two of us. One of my favourite pastimes in New York is just randomly wandering the streets and trying to find a different route every time. Hidden out of the way was what looked to be a record shop but in fact turned out to be a non-profit music archive. 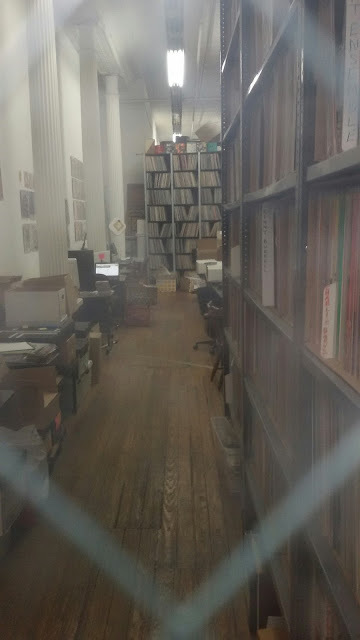 Just peeking through the window I could see a whole bunch of rare Roy Ayers records. We knocked on the door but were not allowed in. In spite of being quite friendly, they seemed puzzled as to why we would want to look inside. For a company that includes "passion" in its mission statement, it strikes me as an even more puzzling thing to ask. Note to self for next Marathon: don't tie my shorts too tight. They left an almost perfect outline in blood. Great write up, Rob. Having only ever run more than 5 miles once in my life (roughly 10 miles in roughly 72 minutes) I can't imagine what it's like to run a marathon. Your description is about as close as I want to get to finding out. P.S. Looks painful in the photos!